To many there’s one festival that outshines all others. Cue the accordion and mandolin music. That being the Gelato Festival, which is on tour just in time for the summer heat, stopping in 12 Italian cities between now and October. Gelato pilgrims will be able to watch gelato makers at work, taste and vote for their favorite flavors, and sample a special flavor in each city, including Nutella and a mango-kiwi-strawberry combination. There will also be opportunities to learn how gelato is produced and participate in gelato-making classes. Locations include Rome, Naples, Florence, and Torino. 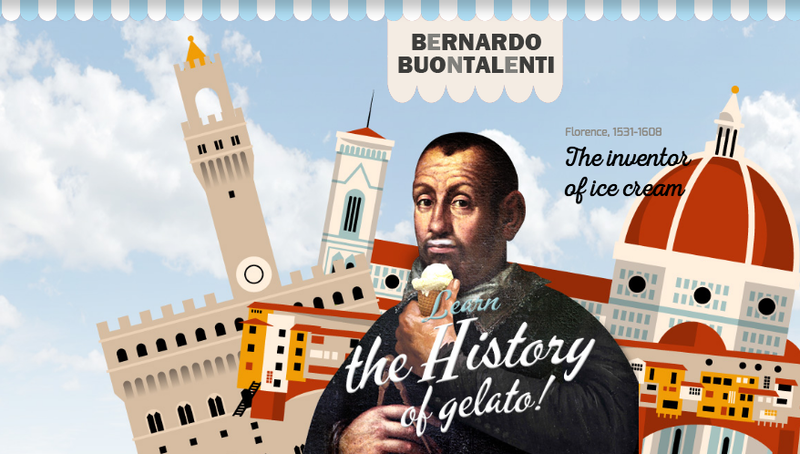 It all started with Bernardo Buontalenti (1531-1608), who invented ice cream in Florence, Italy. Why hasn't this man been canonized? 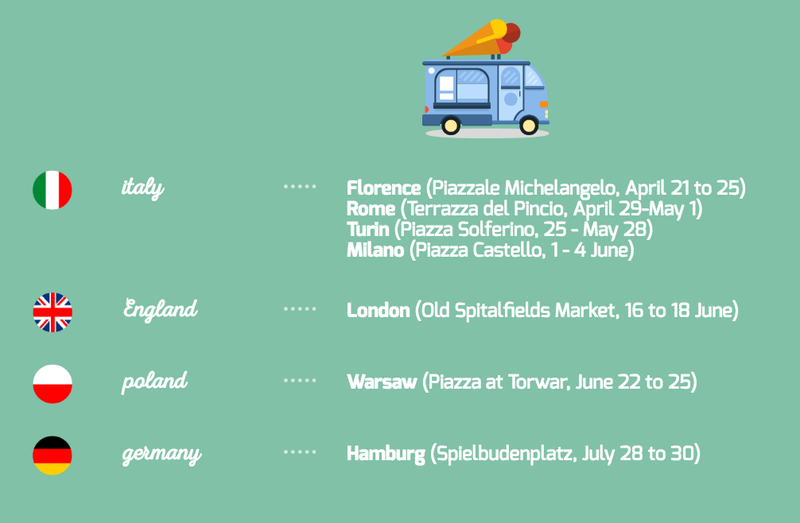 Here are a few of the 12 cities, where the 2017 Gelato Festival will appear in Europe. 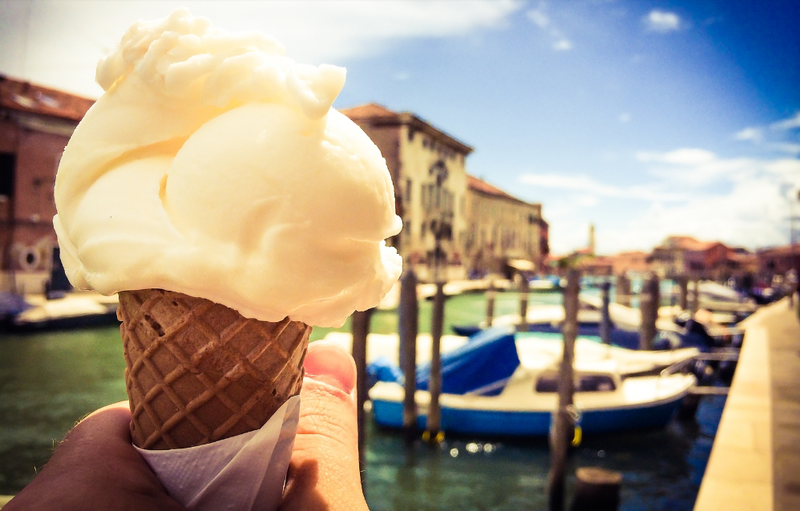 Gelato is the Italian word for ice cream made in an Italian style. Gelato is made with a base of milk, cream, and sugar, and flavored with fruit and nut purees and other flavorings. To grasp the true meaning of Gelato, this blog has gone to great lengths to define Gelato by reaching out to a recognized world expert in deliciousness: the Morelli Gelato family, which has been making Gelato since 1907. Five generations after being founded (in England) by Italian immigrant Guiseppe Morelli, the Morelli’s have expanded with locations in London, Dubai, Bahrain, Manila, Dammam, Kuala Lumpur, Broadstairs (Kent, UK), Tbilisi, Monaco, Kuwait, Dallas and Libreville (Gabon). SO, WHAT’S THE DIFFERENCE BETWEEN GELATO AND ICE CREAM? GUEST BLOG / By Morelli’s Gelato--What is the difference between gelato and ice cream? Fat - If fat (ie milk or cream) is emulsified into the base mix it becomes mixed in between the water molecules and literally gets in the way of ice as it freezes. Air - This is incorporated into ice cream during the churning process. A more aerated ice cream has a fluffier, less dense texture. The temperature ice cream is stored at also has effect: colder ice creams are harder and more solid, while warmer ones are softer, with a looser texture. We’ll talk about this more later on. There are some other tricks to keep ice cream soft, such as alcohol, starch, protein (in egg and milk), and natural stabilisers like guar gum and carageenan, but the top four above are the main factors for all ice creams. American-style ice creams are generally heavy on cream, and have a fat content of at least 10% (which can be considerably higher in most homemade and many premium versions). American-style ice creams are churned quickly to whip in plenty of air (called overrun) which is helped by the high proportion of cream in the base. Most luxury ice creams have an overrun of around 25% which means they've increased the mix in volume by 25%. Cheaper commercial versions can run from 50% to over 90%, which gives them a light, thin, fast-melting texture with less flavour as in reality you are eating mostly air! All these differences give gelato a dense, milky texture that's less creamy than the fat heavy American-style ice creams.